Wednesday Morning June 7th The Holman Area Rotary Club was visited by Monsignor Joseph Hirsch, director of the Casa Hogar Orphanage in Lima Peru. Casa Hogar Juan Pablo II is a mission of the Diocese of La Crosse. Msgr Hirsch told the group how the orphanage operated and the mission behind the work being done there. The orphanage has 64 children, 32 boys and 32 girls each broken up into groups of 8, creating a 'Family' This family dynamic creates strong interpersonal relationships, morals and faith. Msgr Hirsch gave an inspiring talk on the purpose of the Casa Hogar Mission and service above self. 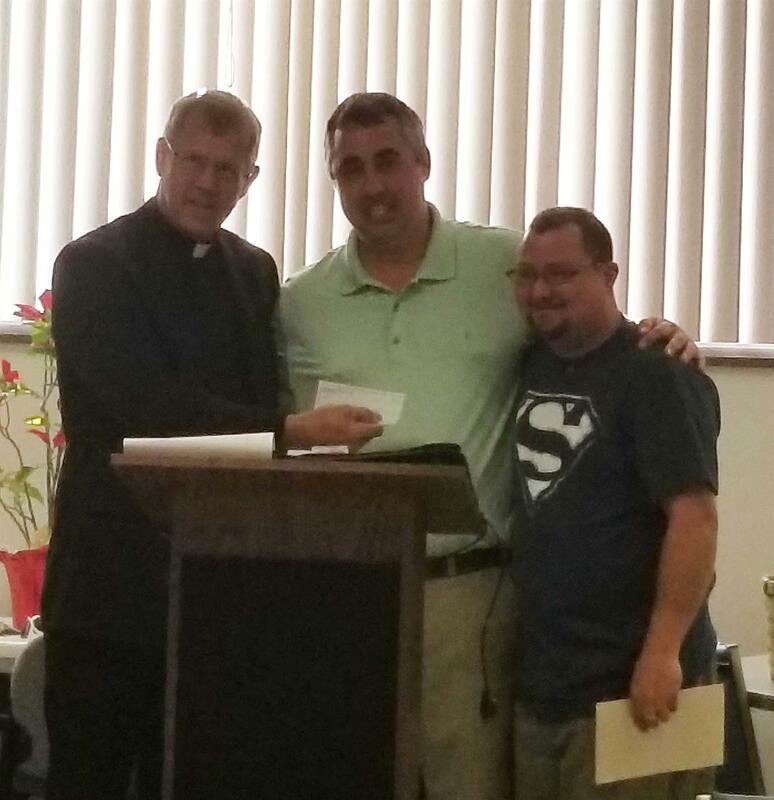 Msgr Hirsch was also personally able to accept a check from the Holmen Area Rotary Club with funds procured by special efforts of Rotarian Justine Bodin for the orphanage.